The copper statue of Liberty comes from the mine Visnes, Norway. It is a village on the island of Karmoy in Rogaland County. 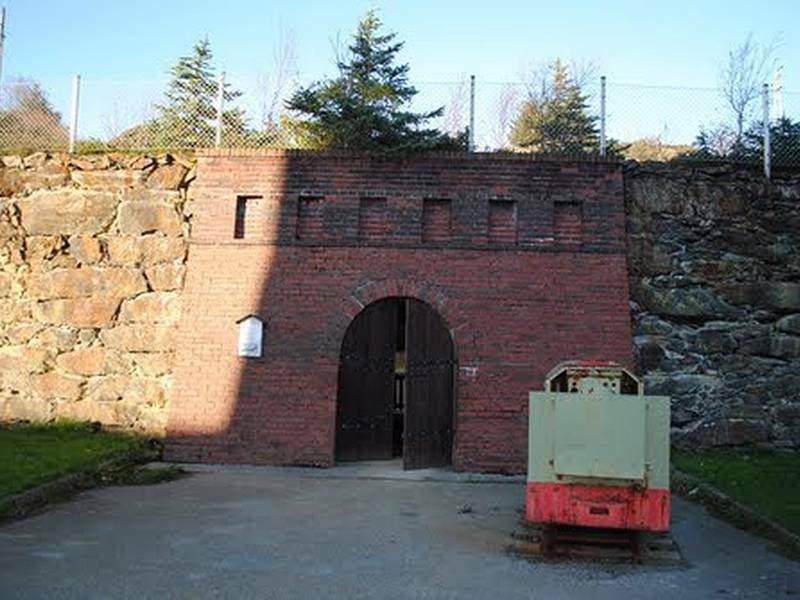 The mine was established in 1865 following the discovery of a significant copper lode on the island. She quickly became very important, the demand for copper in the late nineteenth century is also important. It is through it that the village of Visnes has developed, resulting in a significant increase in population. It must be said that at most of its activity the mine employed 750 people alone, these minors are family people had so greatly increased, the village had established a school, a hospital, a commission, etc. 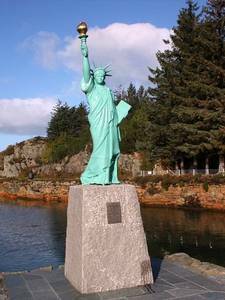 During the Statue of Liberty's construction period, it exported 70% of copper ore all Norway alone. Its activity has steadily declined during the twentieth century, until 1972, the year of its closure. Since Visnes created a museum, the "Visnes Gruvemuseum" which displays objects related to mining activity in order to understand the lives of local miners in the nineteenth century. The museum site has a replica of the Statue of Liberty. Once the copper extracted was largely sent to France to be refined before being delivered to buyers in different forms. It is in the form of 2.3 mm thick plates Auguste Bartholdi bought to build the Statue of Liberty. Visnes Mine was French! From its inception in the nineteenth century, it was directed by Charles of France, which the municipality has given the name of a city park in memory. Bell Labs concluded that it is highly likely that the copper mine Visnes has been used for the construction of the Statue of Liberty, the metallurgical evidence to support this hypothesis. 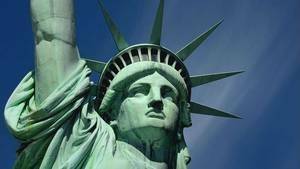 The Statue of Liberty (Officially the "Liberty Enlightening the World", by Frederic Auguste Bartoldi) has a copper shell with an average thickness of 2.3 mm. The statue is about 50 meters high, the weight of copper is about 80 tons. It is likely that there have very little project that needed much copper in the period of its construction from 1876 to 1884. However, no historical documents that have been found specifically indicated the source of copper, hence the necessity of this research. Copper has been mined for thousands of years in Europe, but only a handful of veins providing almost all the copper used in Europe in the nineteenth century. The English mines of Cornwall and Devon were the largest producers of copper ore World during the first half of the nineteenth century. Towards the end of the nineteenth century, they were supplanted by the mines of Montana and Arizona, North America, and the Rio Tinto mine in the province of Huelva, Spain. 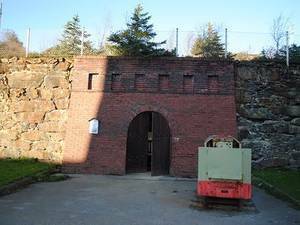 Copper ore was also recovered from Mansfield mines in Germany and a number of small veins of Norway. 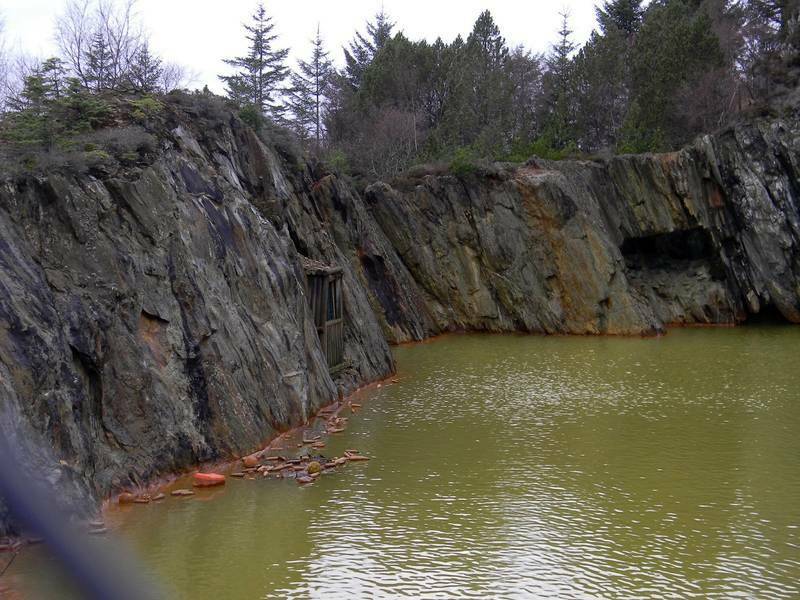 Negligible quantities of copper ore were exploited in France. The review of geography, provision could be made among the sources of refined copper for a sculptor in Paris would be that of Swansea, England, where the ore was refined in Hamburg (Germany) or in Huelva (Spain). During the 1870s one of the most active mining was Visnes, a community located on the island of Karmoy on the west coast of Norway. The copper this site was discovered in 1865 and a mine was built under the direction of Charles de France, a French engineer of mines. He had been an employee of a mining company in Antwerp, Belgium. This company held ore processing plants in France and Belgium and a refinery in Hemixen, Belgium (near Antwerp). So he created a new company to develop the Visnes ore deposit, the "Mining Company and Visnes Copper Plants", who used the same processing and refining facilities than other companies but had its headquarters in Paris. During the period 1865-1890 Visnes ore, copper ore complex high pyrite content with zinc, was shipped to sulfuric acid plants at Dunkirk in France and Antwerp, Belgium. The location of the mine Visnes on the North Sea has made the relatively convenient transport ore, hence its success. The content of primary ore Visnes averaged 3.5% copper, 3% zinc and 44% sulfur. After being roasted in the production of sulfuric acid to form copper oxide ores were shipped to the copper leaching plant to Hemixen. Then, copper was dissolved (probably by leaching diluted sulfuric acid) and then precipitated on the iron to produce cement copper. Production during the 1870 and 1880 amounted to 3,000 tonnes of copper per year. Although details of the metallurgical treatment are not certain, it can be assumed that the cement copper was melted and cast Hemixen. By cons, it is not known if the cast copper was deployed in Hemixen plate or in another factory. In 1865, a rich copper ore was discovered Grønnevik, Visnes, on the west side of the island of Karmoy. From 1865 to 1895 the mine was excavated to a depth of 730 m below sea level, for a production of 1.8 million tons of copper ore extracted. During these years up to 70% copper Norwegian exports came from Visnes, which at that time was one of the largest mines in Northern Europe. It belonged to a French Charles of France. It gave free rein to the practical organization of extraction. Local authorities exercised little control, mining companies had their own health service with doctors, hospitals, their own school system, and the police came directly from the mining personnel. Of the 1.4 million tonnes excavated in 30 years (1865-1895), the mine has supplied 850,000 tons of enriched copper. Over the period 1899-1972, the year of its closure, it still exported 1.3 million tons of enriched copper. Between the time of extraction and supply of enriched copper, it does that held nine days. The mine also produced by-products, of the zinc oxide and sulfur. The smelter on site in 1872 and functioned until 1887. The extraction technique quickly evolved. By 1875 it is the air that was used, which allowed to extract the ore twice as fast. At the beginning of the extraction, as the ground was not too hard, it was possible to advance from 12 to 17m excavation in a month (one month was 25 days of work), this with simple drills hand and mallets. Using compressed air systems they advanced from 20 to 30m over the same period. The Copper Mine Museum has in its collections the first electric light bulb switched on at the mine, implemented in 1870. Several bridleways were made in the northern part of the mining property. They still exist, and form a network of trails that traverse the landscape that is not common for the west coast of Norway. The roads are wide and flat so that wheelchairs can be used even in woodland. Even if a strong wind Northwest can sometimes blow into the headland, wood bordering the ocean provides shelter for those who use these roads today. The nature around Visnes in the nineteenth century was primarily composed of vacant lots covered with heather and juniper, the site was not very appealing. Charles of France decided to shape the landscape to make it more attractive for its workers who were mostly from southern Europe. A number of beautiful gardens were designed and planted at that time. The mining field today is to the west of Avaldsnes, on the island of Karmøy. Leave the city by road to Visnes 47 of 4Kms and you arrived.